I will be bringing you 24 different polishes throughout the month of December. 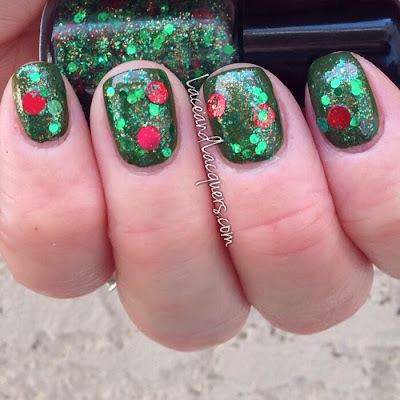 Today I have day #9, Tinsel Town, and #10, Holly Berry (One of my faves)! Be sure to tune back here if you're interested in this! I'll have you first look at these polishes as they are released :] If you want to stay up to the minute on when these polishes release, I suggest following You Polish on Facebook. Swatches after the jump! 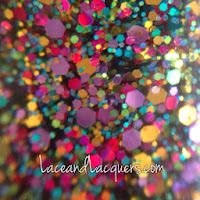 Tinsel Town is a mix of metallic "gold, sky blue, magenta, lime, lavender and turquoise holographic glitters in a range of sizes in a clear base". Reminds of of twinkling tinsel and sparkling lights. I bet this would look badass over a black. 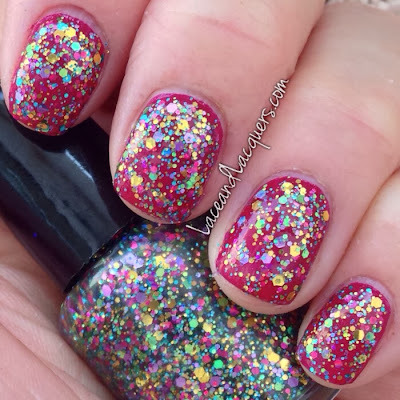 Another polish you can wear all time of the year. 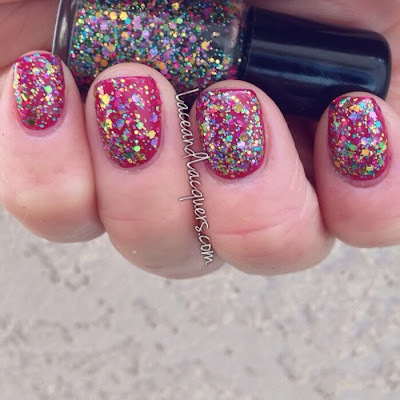 I did 2 coats of Tinsel Town over Above the Curve Scarlet. It had a great application, covered well and dried in good time. I didn't have any issues with this one. This is one of my top favorites from the advent. 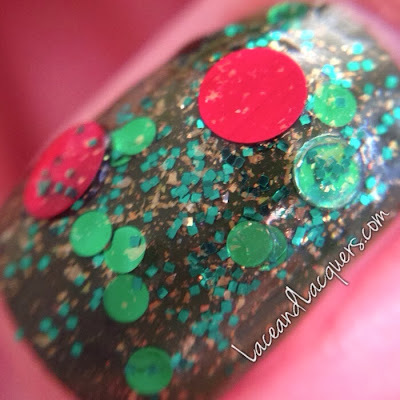 Holly Berry is a mix of "2 sizes of green dots, green micro glitter and large red dots swimming in a clear gold shimmered base". 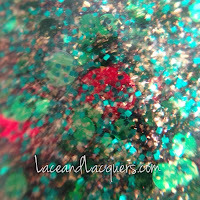 I love this, the instant depth between the shimmer, the small squares and dots is amazing - you can see it in my macro. 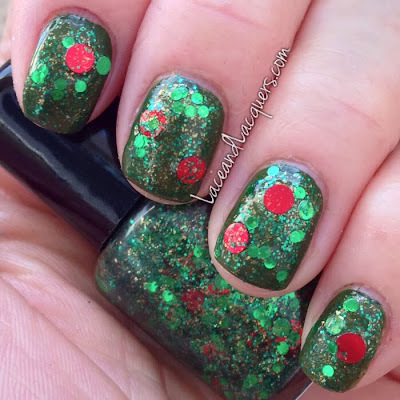 Hello, the perfect Christmas polish for Lacey! 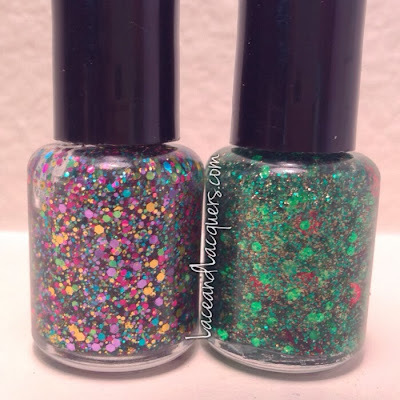 Tinsel Town will be released in her shop today, and Holly Berry will be released tomorrow, 12/10! Stay tuned to You Polish's social networks to stay up to day for when these release. By the way, once these polishes are gone - they're gone! Only a set amount were made.